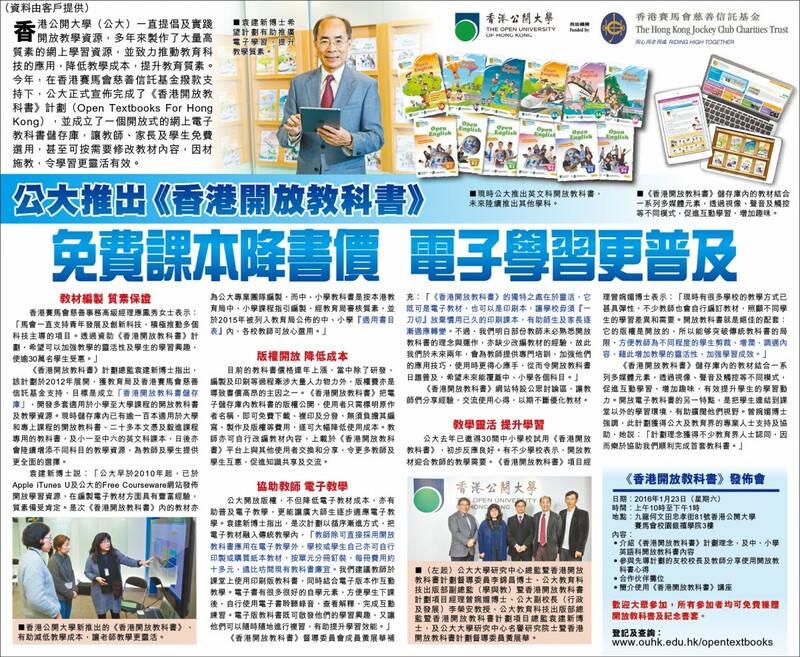 A successful application to the Chief Executive's Community Project Fund has enabled the OUHK to begin a project to develop an Open Textbook System for Hong Kong. 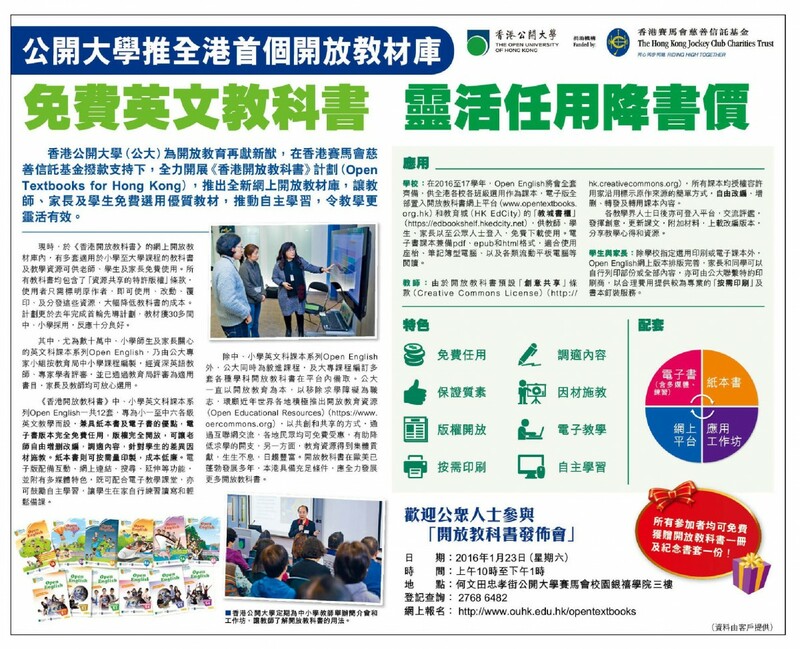 The project aims to establish a sustainable system to provide quality open textbooks for adoption and adaptation at minimal cost for use by teachers and students at the primary, secondary and tertiary levels. 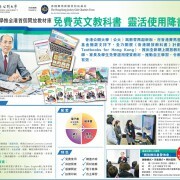 The project has received funding of $17.5 million. 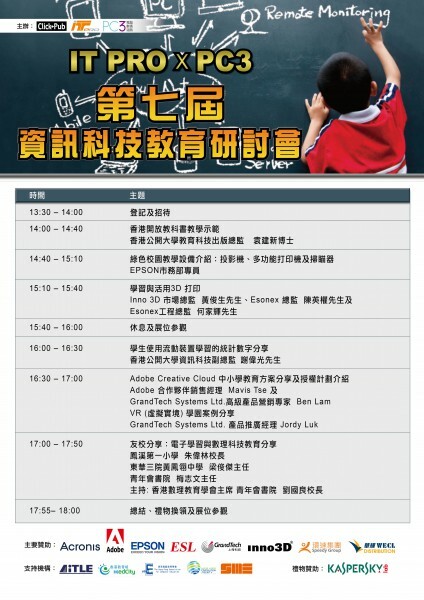 Our project leader, Dr. YUEN Kin-sun, will give a keynote on open textbooks at The 7th IT PRO IT Education Conference 2016 on 21 May 2016 (Saturday). 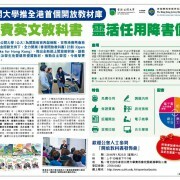 You are most welcome to participate in the keynote session to understand how open textbooks could enhance learning and teaching. 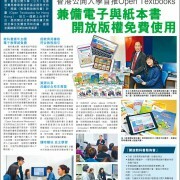 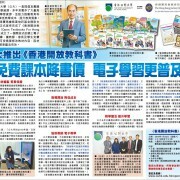 The Open Textbooks for Hong Kong Project has developed the Open English textbook series for P1 to P6 and S1 to S6. 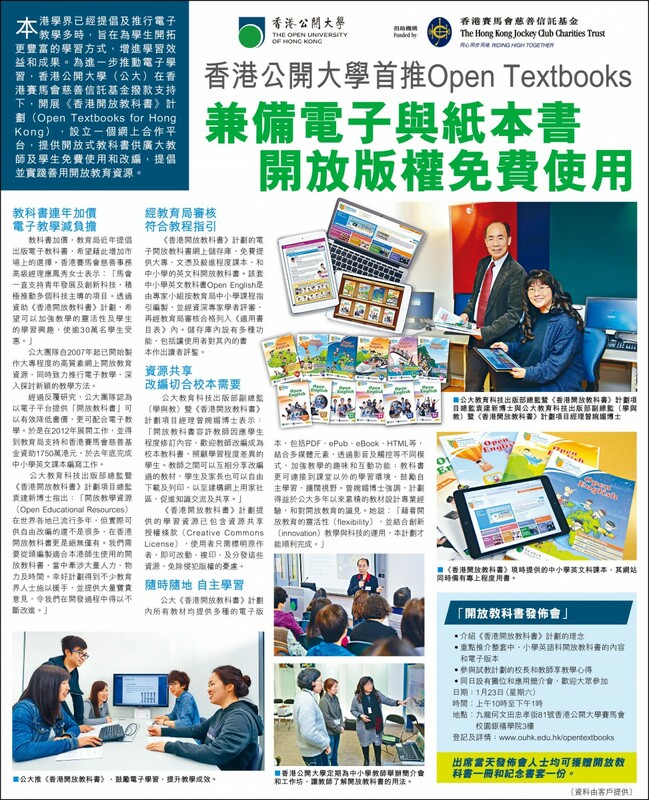 In order to present our open textbooks to schools, we will organize monthly seminars on English Language Open Textbooks for primary and secondary school principals and teachers, especially English language teachers between February and May 2016. 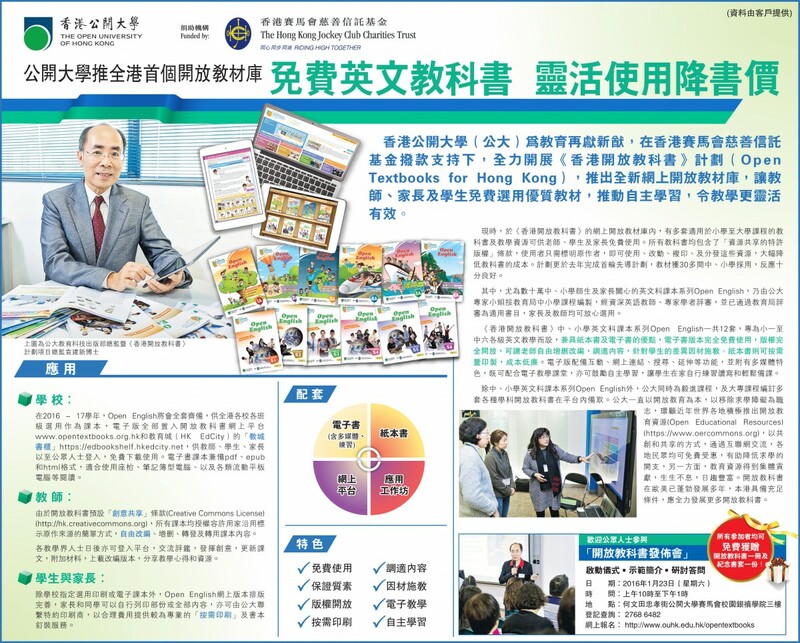 The "Open Textbooks for Hong Kong" Project will showcase Open English at booth K05 and conduct a seminar for teachers (Seminar Theatre II) at the Learning and Teaching Expo 2015!